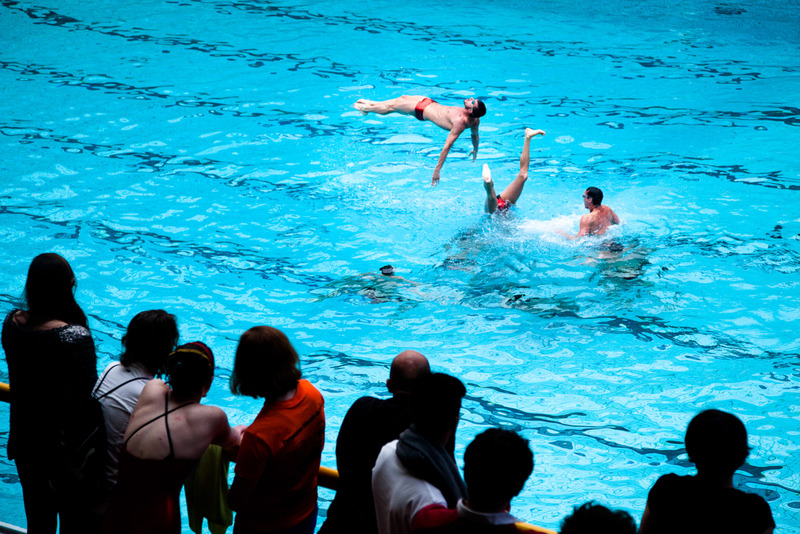 Training of the Paris Aquatique men’s synchronized swimming team. 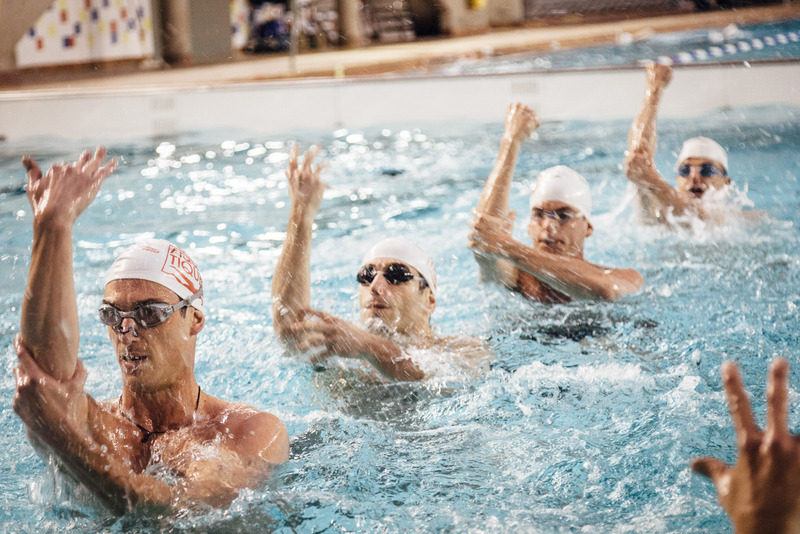 Training of the Paris Aquatique men’s synchronized swimming team. Jean Phlippe and Tom, watch themselves on the camera. 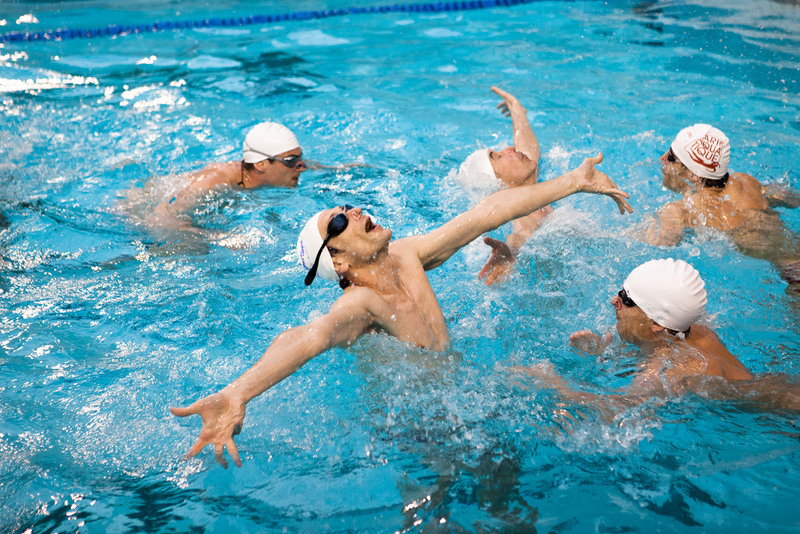 Training of the Paris Aquatique men’s synchronized swimming team. 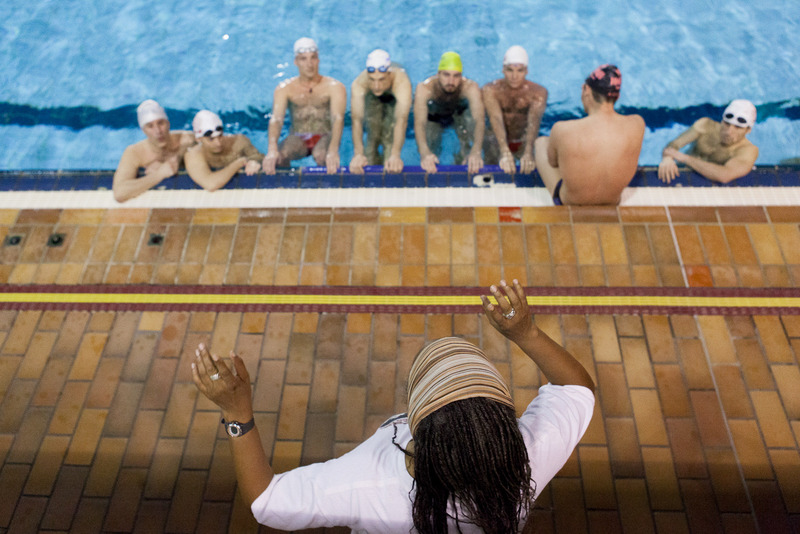 Solange, their coach, prepares them for the « tournoi de Paris » competition held from May 17 to 21.
raining of the Paris Aquatique men’s synchronized swimming team. Tom, Marco and Jean Philippe are having fun after the evening training. One of the last trainings for the Paris Aquatique synchronized swimming team before the international Paris tournament which took place in the 17th-21st May. The Paris aquatique team celebrate after their successful routine during the international Paris Tournament. Warm up the team before the International Aquatic Paris Paris tournament. The male synchronized swimming team concentrate just before the Paris Tournament. The swimsuits were made by a friend of the team. A team from Eastern countries, participating in the synchronized swimming tournament in Paris. Marco, between the female teams of synchronized swimming, during the international Paris tournament.